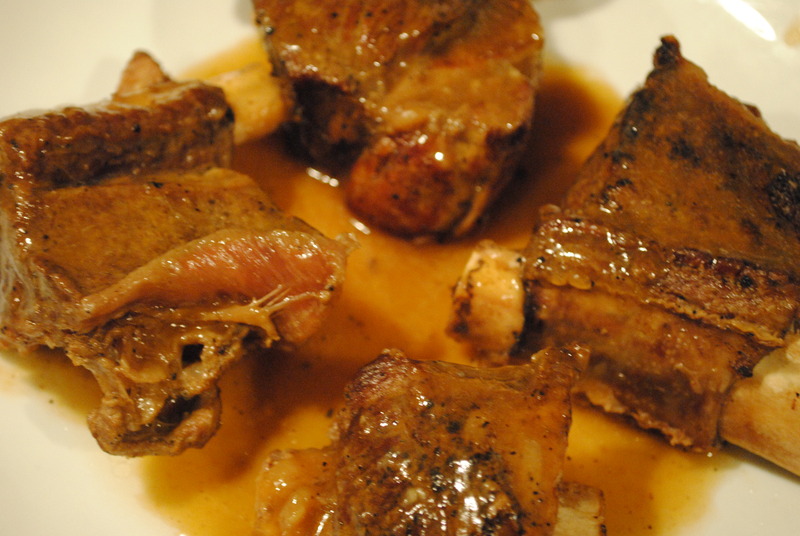 Beef short ribs…a flavorful, cheap cut of meat. As of late I have been looking for the cuts of meat that are overlooked by most consumers. I get all of my meat from my local IGA and I do this because I know where it’s coming from and I have a good rapport with the butcher. Most of the folks I see perusing the meat case are picking up filet mignon, rib eyes and New York strips. This is great, don’t get me wrong…but I am finding that with time and the correct cooking method these cheaper cuts of meat are far superior. 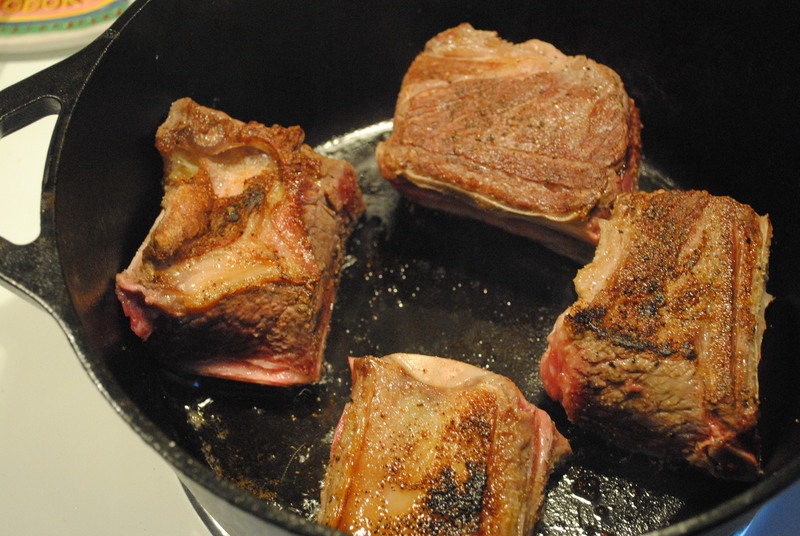 I have 2 favorite methods for short ribs, one is grilled and the other is braised in a cast iron dutch oven. For the grilled version the only thing I added to the ribs was sea salt and pepper. The salt and pepper ended up giving the ribs a nice crust. 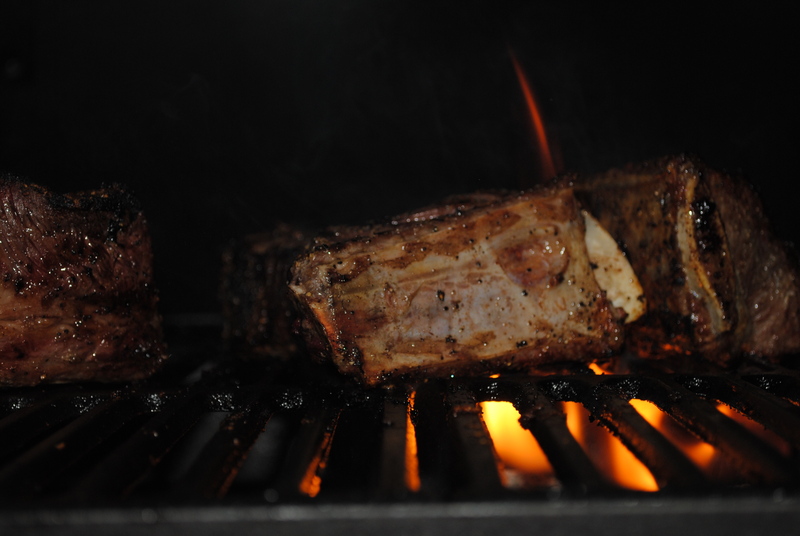 I also added some hickory saw dust to the coals and this gave the ribs a nice subtle smoky flavor. I seared them over the flame for close to 10 minutes and then moved them to the back corner of the smoker. I left these on for an hour and they picked up some really good flavor from the coals and the hickory I added. The braised version was a little more involved. 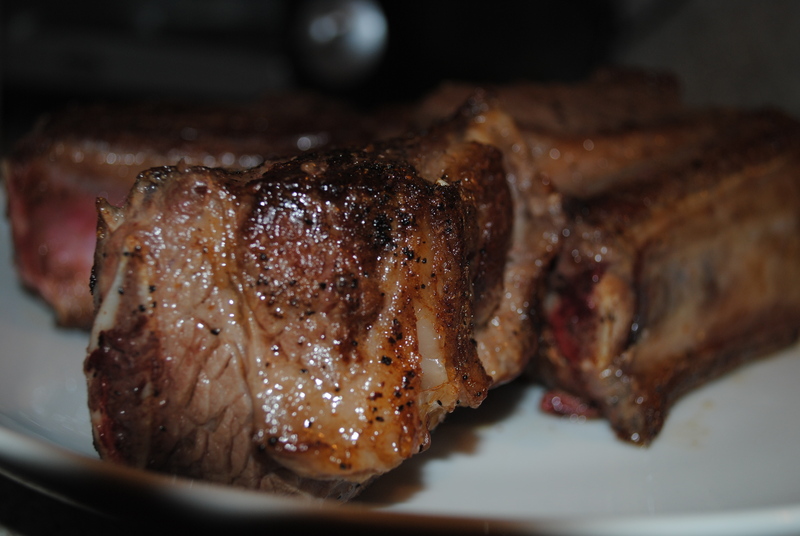 I added a little grape seed oil ( it’s good for you and has a high smoke point) and salt and pepper and seared the ribs. 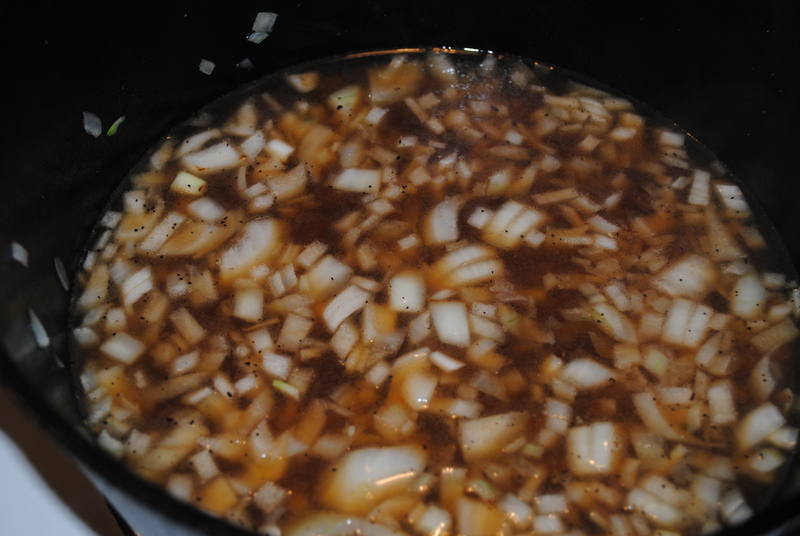 After I seared the ribs on all sides I added 1 large vidalia onion that I had diced up. I allowed the onion to cook down with the beef juices and then ran it through my food processor to smooth it out. 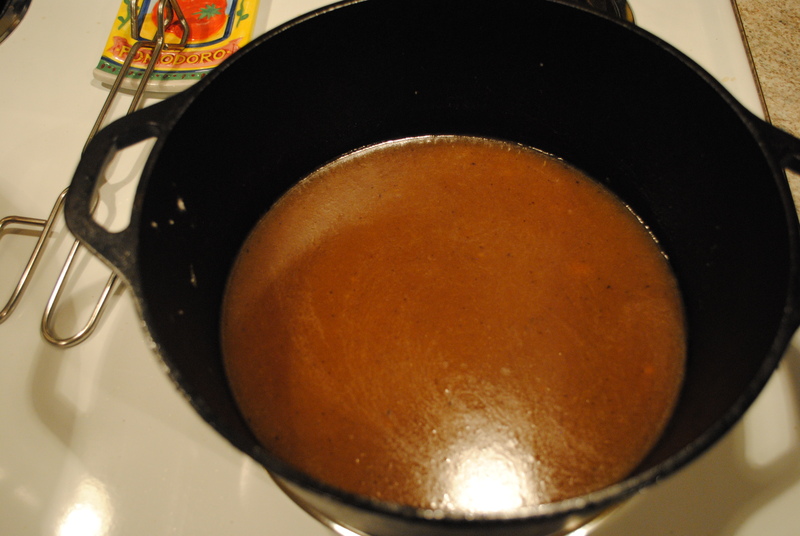 I also added a little flour to thicken the sauce up. After an hour or so this is what I ended up with. This sauce was amazing. Very simple very smooth I added the ribs into this sauce and let them cook for an additional hour and a half. This takes time but is so worth it in the end. I ended up with Beef ribs that literally slid off the bone. You really have nothing to lose with this cheap cut. It’s virtually impossible to screw them up, the longer you cook them…the better they get. This entry was posted in beef, smoke, technique and tagged beef, grill, recipes, short ribs. Bookmark the permalink.